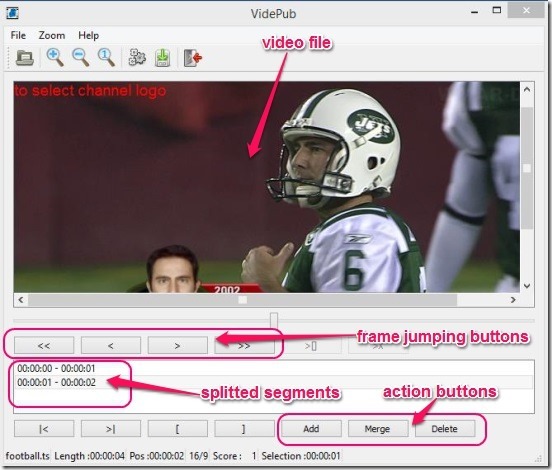 VidePub is a free TS file cutter software that cuts advertisement segments from a recorded TV series or a movie, that is in MPEG Stream File (.TS ) format. It auto-detects the channel logo from the recorded video file and then helps in cropping out the advertisements. You can manually break the recorded video file into segments, delete the unwanted parts, and finally merge remaining parts, save them as a single video file. This freeware to delete advertisements from recorded TV shows make it very easy to remove advertisements from video file and get back a video file free of any advertisement. There are only a few video cutters out there, which support TS file cutting and splitting, without the need of converting the TS file into Avi or MP4 file formats. So this freeware would come handy in those scenarios. The freeware has some handy tools and options that make cutting out advertisements easy and fast. 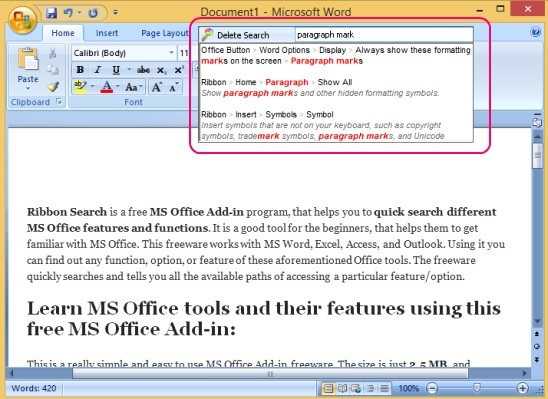 These include: Auto find next logo, save logo in logos database, jump to next and previous key frames, go to begin or end of selected segment, add, merge, delete, and detect segments etc. Ability to cut the TS file and merge them together in their raw format is highlight of the freeware. But, I had trouble with the logo auto-detecting feature. There were times when the TS files had logo, but this freeware didn’t detect it. However, the later part of the freeware that is cutting and merging requisite segments of the recorded video file does work well. The freeware only supports the TS file format. Splitting a video file, deleting unnecessary segments, and merging files is very easy and is all about simple clicks. 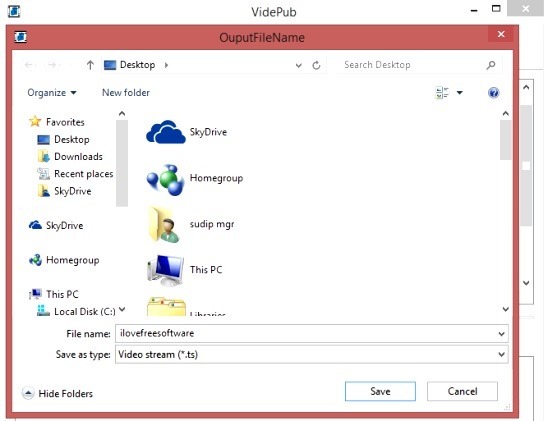 Simply add the .TS video file by using the File menu. This freeware automatically runs a scan to detect the channel logo in the video file, and if it couldn’t find any channel logo, then it allows you to select the logo manually. All that is required from your end is, going to the desired frame (frame where the advertisement starts ) in the video using the frame jumping button present on the interface, and then click on Add button present at the bottom. This breaks the complete track into two parts. Then go to the frame where the advertisements ends, and click on Add again. Repeat the steps on every advertisement start and end frame. Next is all about selecting the advertisement segments from the segments list and clicking on Delete button. Once you have only the requisite segments, simply select all of them in the segments list and click on Merge button. Finally you can save this edited video as one single TS file. That’s pretty much it about this freeware. It’s that simple and fast. However there’s no playback buttons in the freeware. Also I wished that, it had an option to jump to particular frame by entering frame number. Good TS file cutter software. 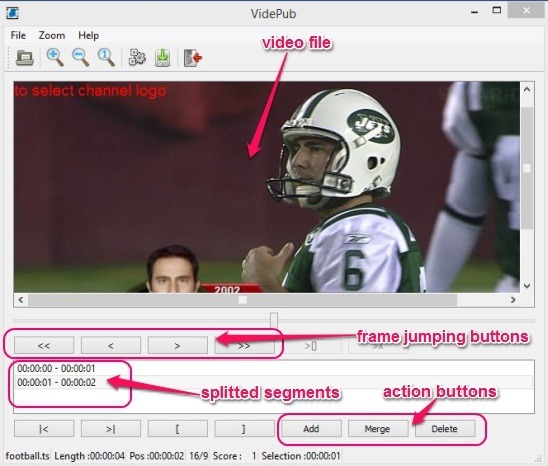 Cut recorded TV recordings, delete advertisements, and merge-save the edited recording. Auto-detect feature to detect channel logo in video file automatically (didn’t work in my case). Here are some good video editing software reviewed by us: Moo0 Video Cutter and AVS Video Editor. Check them out! VidePub is a good free TS file cutter software. If you are to do cutting and merging manually, than the software is functional. 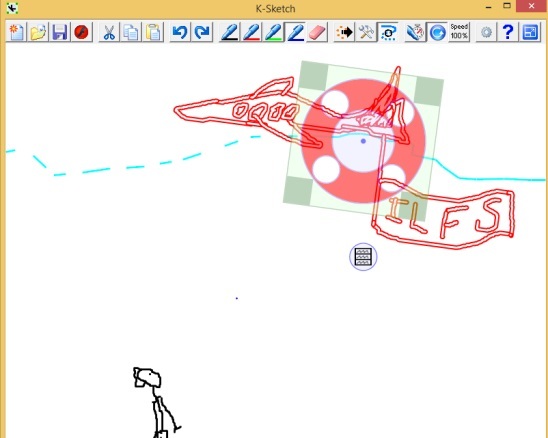 However, not being able to use the auto-detect channel logo feature is a setback. Still, it’s useful and pretty much does the job.